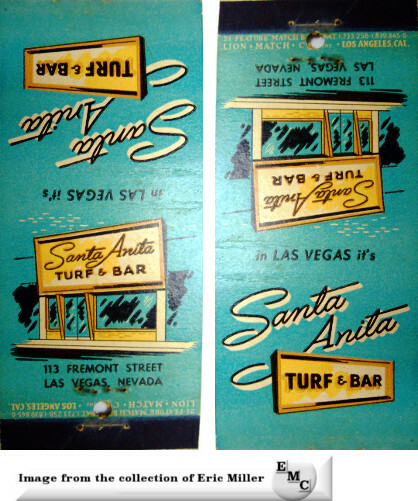 The Santa Anita Turf Club opened July 7, 1948 and was licensed for slots, 21/blackjack, craps, roulette, and racebook. 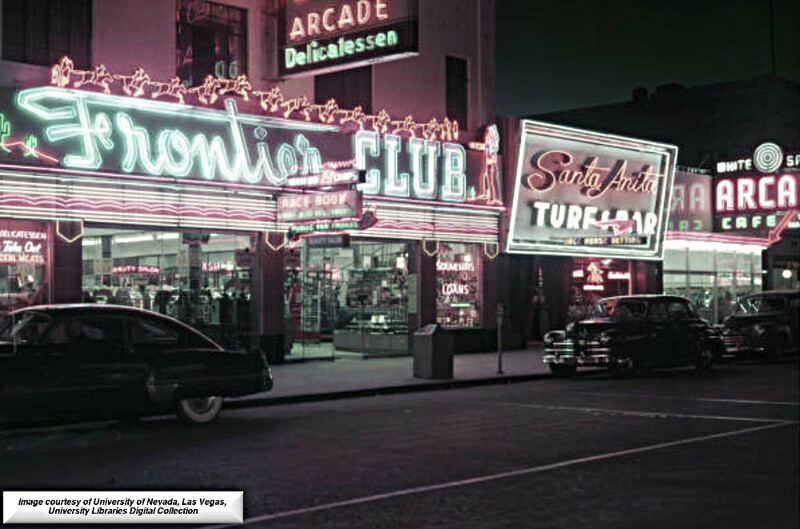 It closed in 1952 at this location. These three men had colorful backgrounds and "associates". 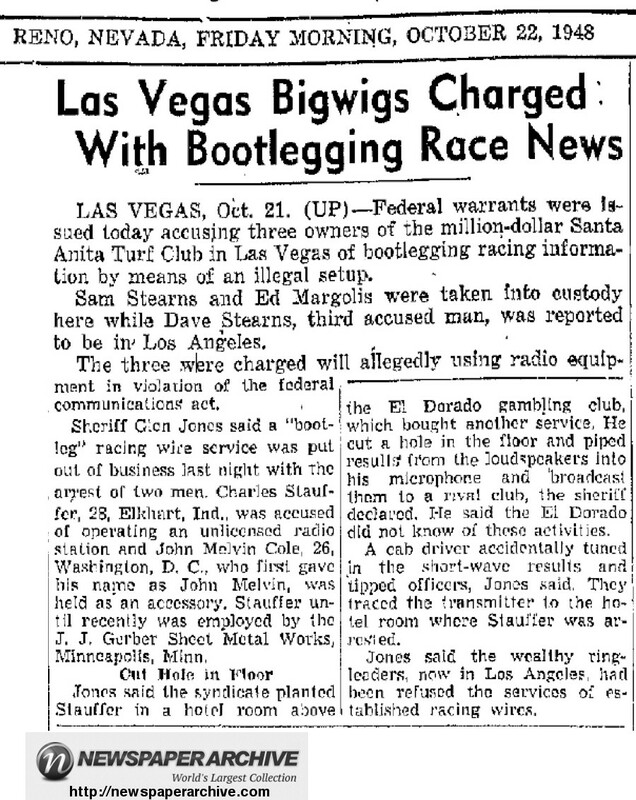 At one point in 1948, unable to secure their own race wire they resorted to bootlegging racewire results from a clandestine radio operation from across the street. On March 23, 1950, they plead guilty to a reduced charge of illegally operating a low-power radio station. 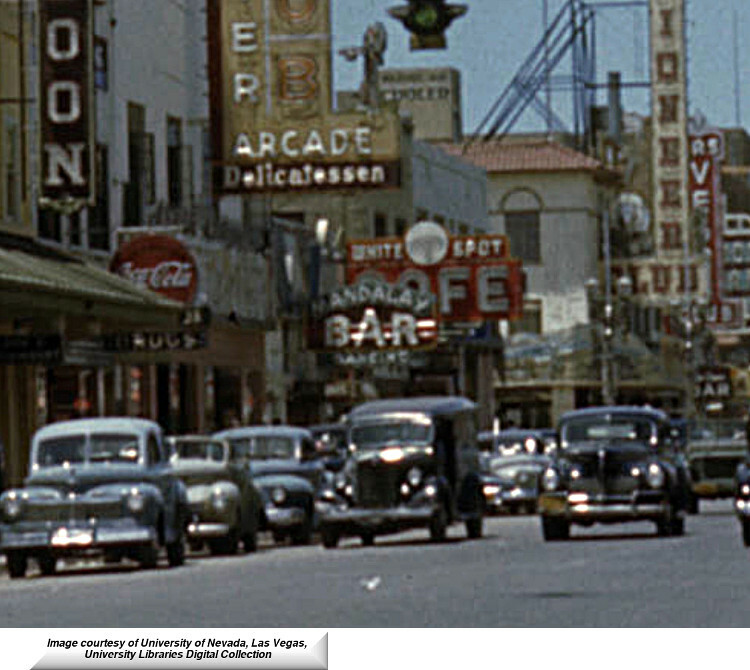 This was due in part to their lawyer's efforts to have the search of the Eldorado Casino and Apache Hotel, which yielded an old B-29 radio transmitter, deemed an illegal search. 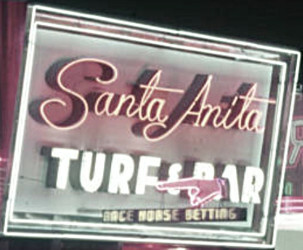 The trio were unable to secure a race wire from Continental Press, so they allegedly stole race results from the Eldorado and then rebroadcast them to their own club, the Santa Anita Turf Club. 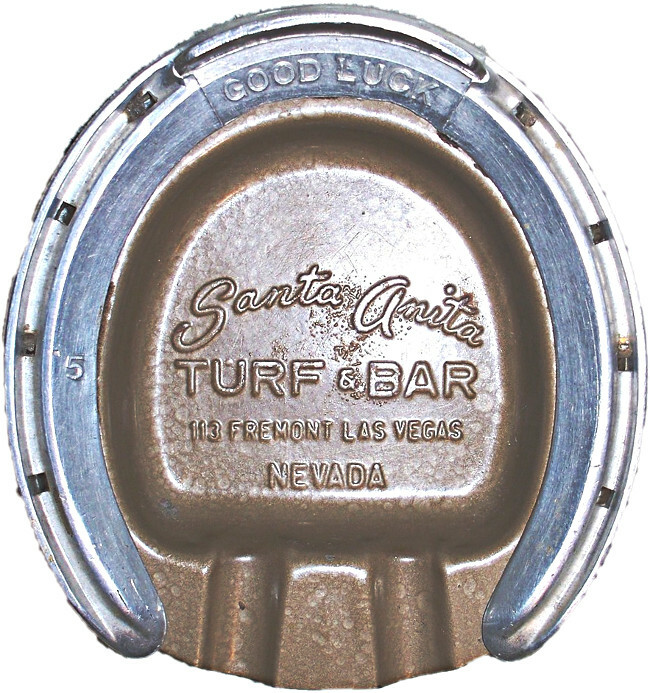 A very rare ashtray from the Santa Anita Turf and Bar in downtown Las Vegas. 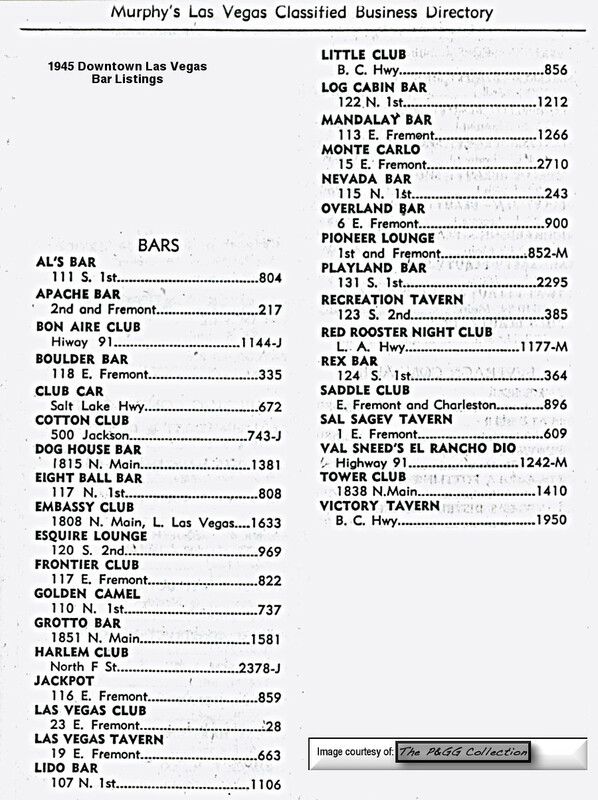 Telephone number 2058 as listed in the 1944 Las vegas phone directory. 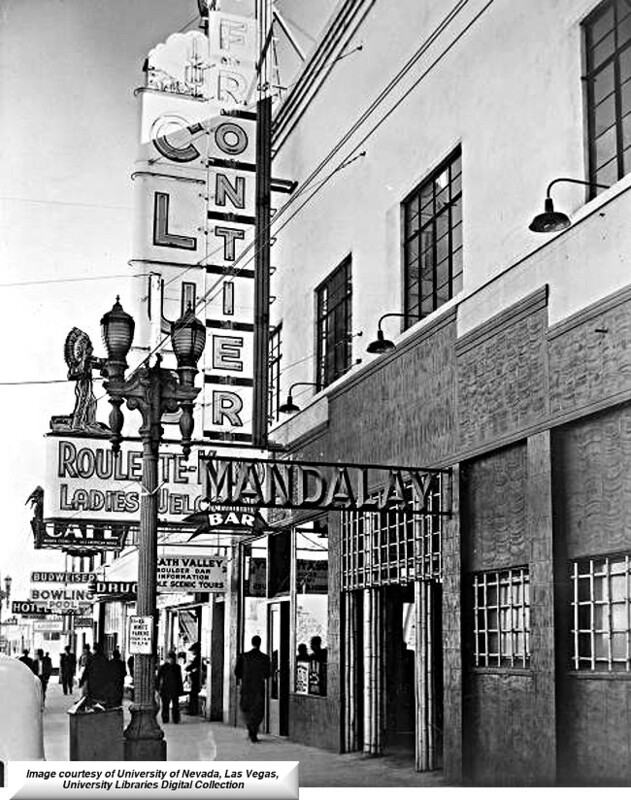 In November of 1948, Dave Stearns, Sam Stearns, and Edward Margolis sued Continental Press and its owners Tom Kelley and Arthur McBride, on charges of monopoly and violating the Sherman anti-trust act for refusing to provide the club with race results. McBride, owner of the Cleveland Browns, later tried to remove himself from the lawsuit by saying he had no ownership in the company and that it was wholly owned by his son Edward J. McBride. The other defendants in that suit were Moe Sedway, Morris Rosen, and Connie J. Hurley, all of the Golden Nugget, whom they accused of having a monopoly on the race wire service in Las Vegas. 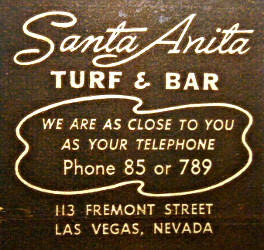 The Santa Anita Turf Club at 113 Fremont St. was different from the Turf Club at 15 Fremont St. 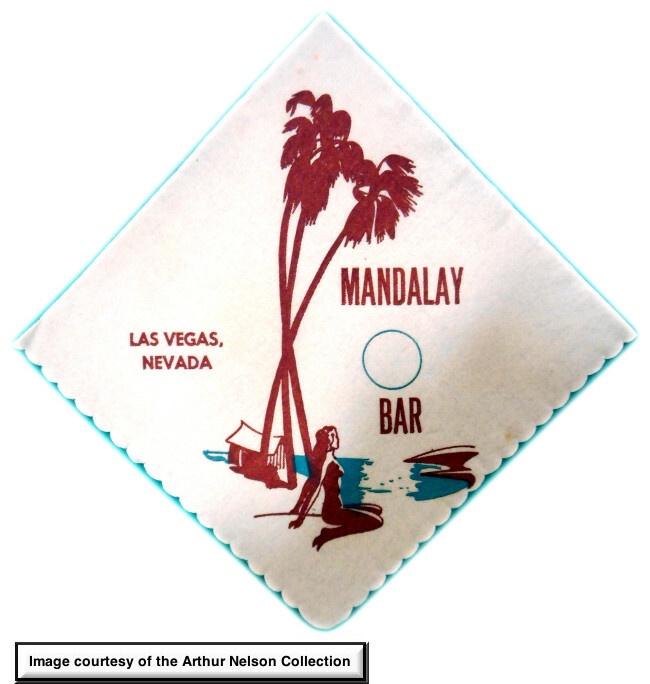 It always surprises me to find something as fragile as a cocktail napkin has survived in great shape for 70 years! 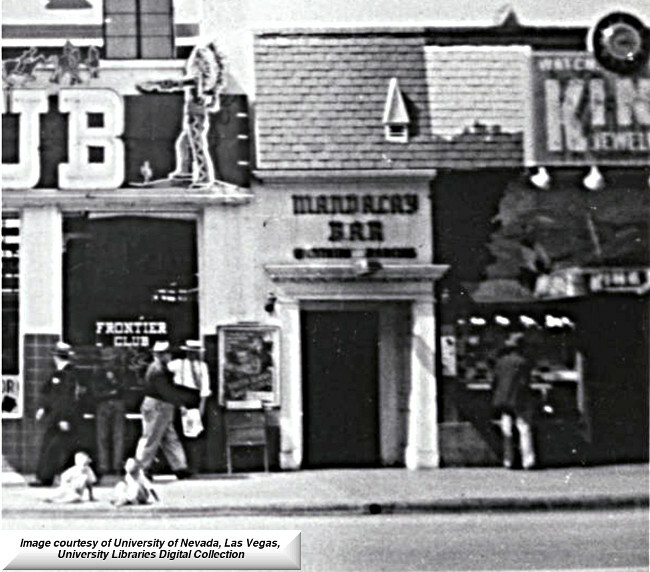 Guy McAfee and his associates opened the Mandalay Bar next to the Frontier Club in about 1940.